Oh, that stubborn under eye area! 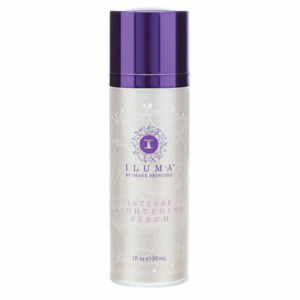 Almost everyone is plagued by some degree of puffiness, wrinkling, sagging, or dark circles. The skin around the eyes is thinner and more delicate than other areas of the face, and should be treated gently. This doesn’t mean it can’t handle powerful ingredients. Our cream is a rich blend of soothing natural ingredients, including highly effective red and brown algae and potent plant extracts, that visibly improve the appearance of skin around the eyes. Cucumber Eye Cream is deceiving. Don’t let its lightweight texture and skin calming feel fool you. This eye treatment delivers big on benefits. 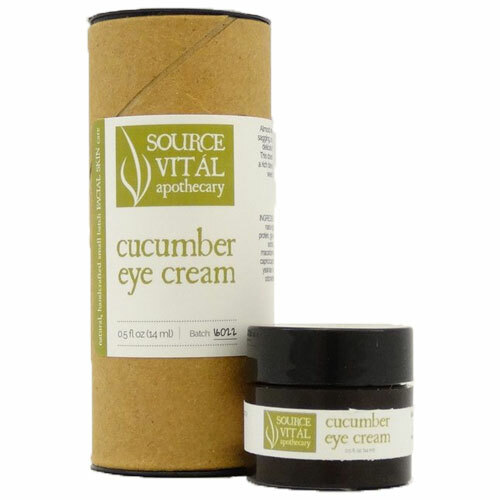 For all skin types, Cucumber Eye Cream is specifically for anti-aging and puffiness. Because of the nature of using natural ingredients, we will make adjustments to our formulations. The ingredient listing above may change periodically. You should refer to the product bottle, jar or packaging for the list of ingredients for your batch.All Source Vitál skin care, body care and aromatherapy products are derived from nature and hand-crafted in small batches. We fuse seaweeds, botanicals and essential oils to create the most active and effective line on the market. Our products are natural, packed in eco-friendly packaging and never tested on animals. 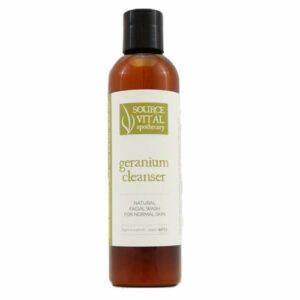 They are free of SLS/SLES, GMOs, synthetic fragrances, synthetic colorants, pharmaceauticals, and other harsh chemicals.